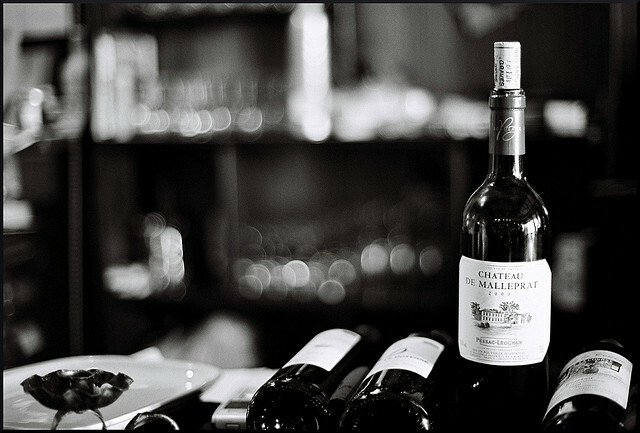 The Bordeaux region is one of the most well-known wine regions in France, especially famous for its dry, medium body red wines. Besides that, the high quality white wines are also produced in this region. The secret of this authentic wine is its magical Bordeaux Blend, where the key grapes are Cabernet Sauvignon and Merlot for the red wines and Sauvignon Blanc, Semillon and Muscadelle for the white wines. The typical characteristics differ from one sub-region to another. For instance, the Médoc wines are tannic, powerful, elegant and long-lasting with flavors of blackberry, coffee bean, licorice, vanilla and dark cherry which are typical sensations for the wine from the Left Bank in general, while the Right Bank (St. Emilion, Pomerol) delivers chocolate, black cherry, plum, blackberry, spice, smoke, blueberry and jam flavors. Bordeaux also has its typical high-quality sweet wines with an intense golden color coming from Sauternes region.